Our staff at HAO have been working on a product idea for some time. We believe with the uncertainty in the world and the fact that many of us spend much of our time outside our homes, certain precautionary measures need to be considered. In trying to prepare for emergencies that may require us to become engaged in many different life threatening or live saving situations, we feel that a Emergency “GO” bag is a key tool in keeping ourselves and our family ready and prepared to handle emergency situations. 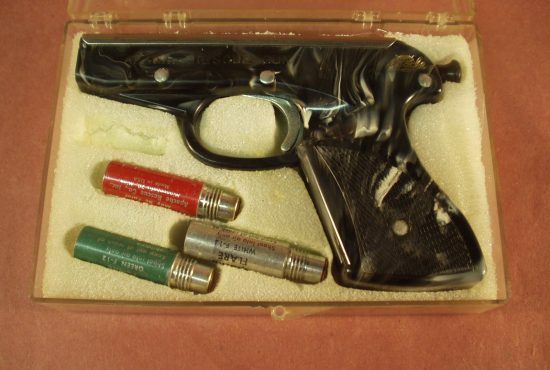 I know there have been numerous time I have said, I just wish I had that item with me or in the car, etc. In discussing this with my staff ( Police officer, fireman, EMT and Physicians Assistant ( PA ) we actually built a few emergency GO bags. We based the bags on our life style, so each bag was prepared a little differently. Some bags carried more medical supplies ( PA Bag ). 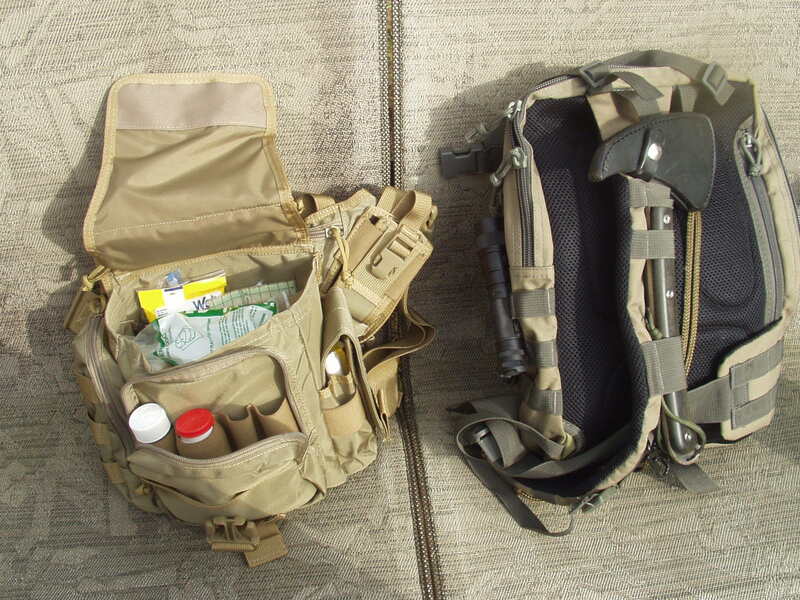 The police bag was more tactical, other bags combined some tactical gear along with basic first aid and life staining supplies. Our bags were selected to be relatively small, easy to grab quickly and go. We also considered the fact that most of the time the bags will reside in a vehicle or may be in the home to be used as required. In addition we wanted to fill the bags with quality products that we could rely 100% on and were of extreme necessity during hazardous or emergency situations. Times have changed in our world, the threat of natural or man made disasters are happening daily to someone, somewhere that may not be prepared to help them survive. 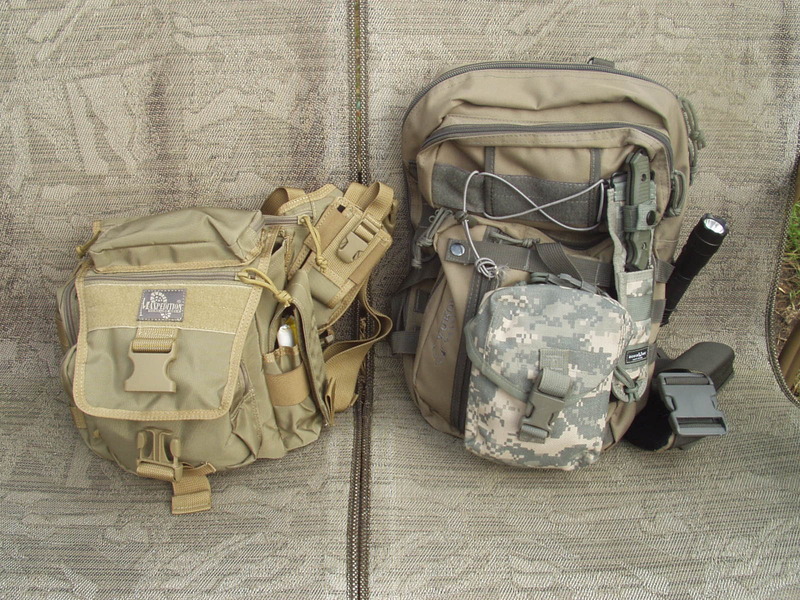 We included in each test bag we built key item we feel are necessary in any situation. 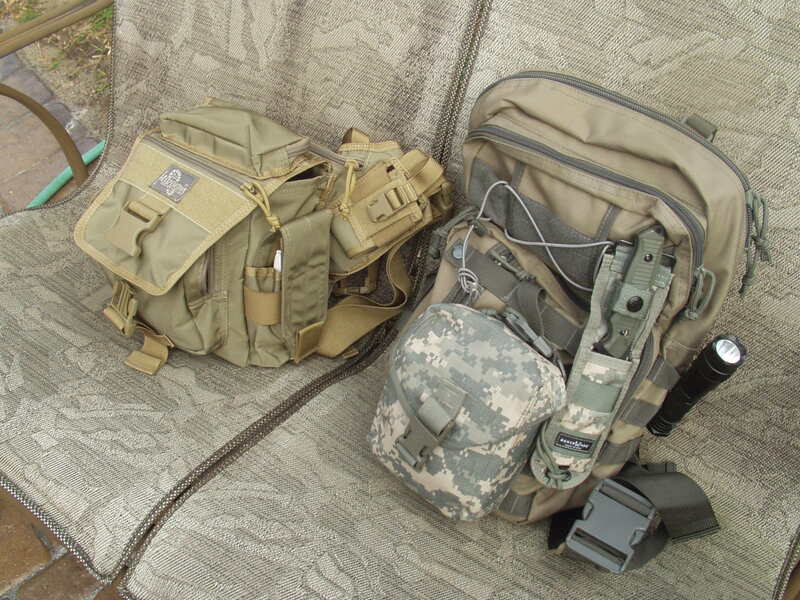 The included, a high end 1000 Lume Flashlight, Knife, Paracord, Tourniquet, Compression Bandages, Butterfly Bandages, Medical Tape, Basic first Aid Supplies, Space Blanket, Disposable Sleeping Bag, Flares, Etc., Each bag we build is unique to the user and his or hers own life style. We have added a few pictures of the bags we built and want to offer to our customers the service of building them a specialized bag based on their specific requirements and needs. Right now we do not have any bags to sell but we encourage anyone interested in having us build them a bag to contact us with their requirement and in turn we will provide you a cost estimate. We will leave it open to the type of bag you desire and the products you would want to include. We can also make suggestions based on your lifestyle, what type of products you should consider. We have access to just about any type of bags and the products you would like to include. We Hope we hear back to help us determine if this is a good idea of ours. There are many types of first aid bags and Kit available but we have found many do not “measure up” & don’t carry some of the items we end up having to add or we are not aware such item even exist. 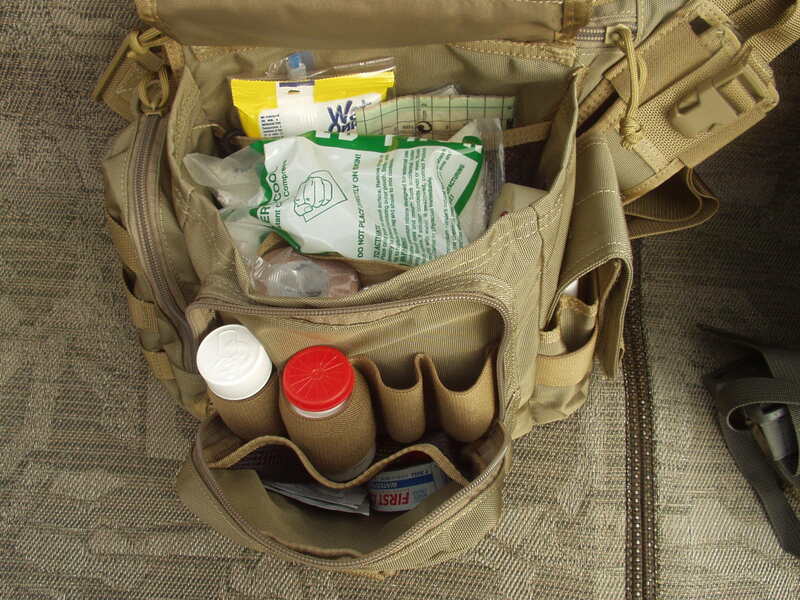 Here is a chance to have your own bag built to your specific specifications and include more than just first aid items.